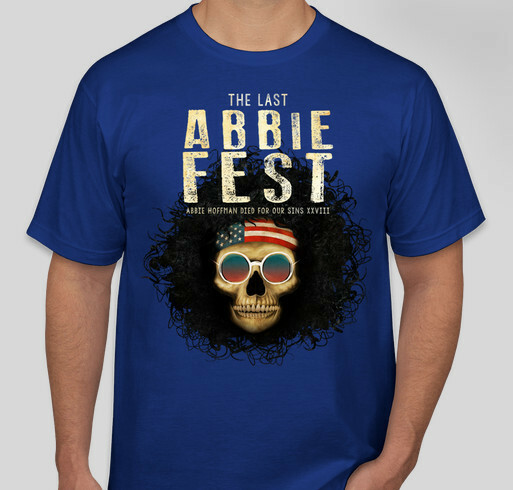 Wear your official 2016 Abbie Fest t-shirt with pride! Get it before the fest! All funds raised will go directly to MARY ARRCHIE THEATRE CO . The 28th annual performance mashup celebrates the anniversary of the Woodstock Music and Art Fair of 1969. Three days of non-stop entertainment include more than 50 theater groups, bands, and performers! To honor the memory of Abbie Hoffman who did his best to comfort the afflicted, and afflict the comfortable. Share Why You Support "Official Abbie Fest XXVIII T-shirt"